When you first come to Japan, the public transportation system, especially the trains, maybe bit a bit confusing and overwhelming to understand. 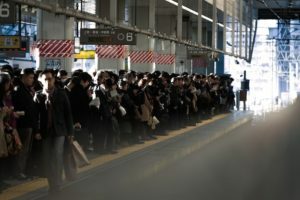 Without a guide, people who do not speak Japanese, the train system could even be a total nightmare, and it could also be problematic to native Japanese. 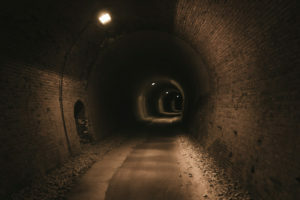 This article will provide you with some tips to cope with the train system and some easy rules you can follow that would be extremely helpful. Let’s make your trains experience in Japan easier and more comfortable! 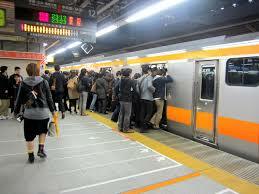 Trains in Japan are almost always on time, minute to minute. Because trains are so reliable, you do not want to be late or you will definitely be left behind. So it is best that you find the designated train to your destination in advance, then you should know what time the train arrives and be prepared. 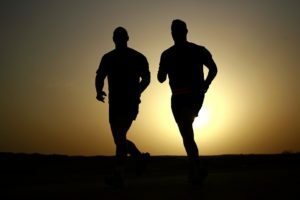 One of my favorite sayings is that “To be on early is to be on time, to be on time is to be late, and to be late is to be left”. There are other ways of checking for the trains as well. You can always find the train schedule in each and every station, the schedule will tell you exactly what time do the trains arrive and leave. Additionally, you can always look up the train schedule from your phone or on the Internet. You can use many applications to find the train such as Google Maps, 乗換NAVITIME, Yahoo!乗換案内, etc. Before going to the platform to wait for the train, you will have to pass a gate. In order to pass the gate, you will need a card, a ticket, or a pre-purchased travel pass. 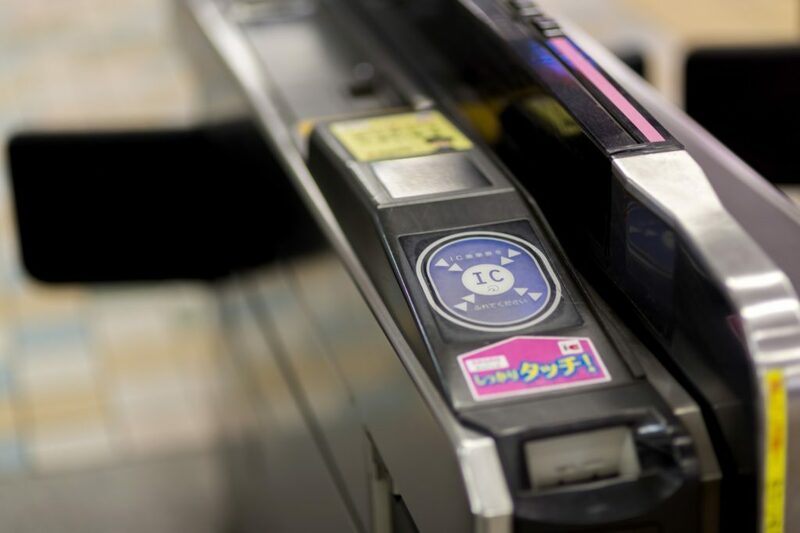 There will be machines that you can use to buy tickets or charge your cards, and the prices are fixed so you do not have to worry too much about pricing going up or down depending on the area. A small reminder is that you will only need to tap the card and the gate will automatically open for you. However, if you are using tickets, remember that they are only for one-way traveling. There should be a small opening that you can put your ticket in and it will pop out on the other side when you get through the gate, do not forget to take it with you. But on the way out, the ticket will not pop up again after you put it into the machine. The same goes for travel passes, but if you are traveling in the designated area of the pass, it should reappear after you slide it in. When you finished everything and the only thing left is to wait for your train, you will usually see two platforms. You need to check and make sure that you are on the correct platform or you will get on the wrong train. There are multiple platforms in one station, each with different destinations, so check carefully when you look for trains. Information of which platform the train will arrive at is available when you look up for trains using any of the recommended apps above. Because of the various platforms, you should check carefully and take the stairs, escalators, or elevators to the correct platform. There are at least 5 types of train in Japan, each with different objectives. Depending on your trip, you should choose the type of train that is most suitable for you. 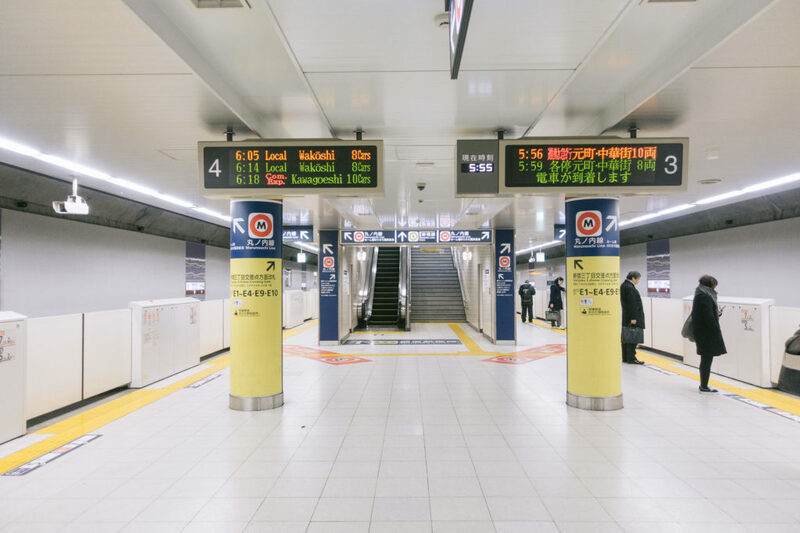 However, knowing the kanji word for each type as well as the stops of the trains will help you tremendously when picking the train to your destination. The Shinkansen is the Japanese Bullet Train, which is very expensive and covers excellent distance at a higher speed than other trains. The Express, 特急 (tokkyu), goes faster than most trains and only stops at major stations. The local train, 普通 (futsuu), is probably the slowest because it stops at all stations. There will always be certain rules or etiquettes when you use public transportation and the same rules apply for Japanese trains. Following these rules will ensure that you have a comfortable and pleasant journey while being on the train. Once you get on the train, you will notice how silent everybody is. 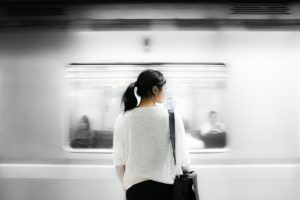 Even though, from time to time, you will see some groups of people getting on the train and start talking, they will always adjust their voices so that it would not be too loud to disturb other people. Other than that, most people prefer to do their own things and stay quiet. With that in mind, it is not necessary to whisper, but you should always control your volume so it does not affect other people. This also goes for listening to music. Though it is not restricted or rude to do so, if you are being looked at by a lot of people, chances are your music is a bit too loud and other people can hear it. People generally do not complain about any of them problem but it is advisable to follow these simple rules to keep everyone and yourself included happy and comfortable throughout the whole trip on the train. When you are on the train, especially long trip, or when you are busy talking to your friends, it is very easy to not get off at the right stop. The train will always have both Japanese and English announcement whenever it is coming to a stop, so be sure to listen to it so that you can get off accordingly. Sometimes, along with the announcement, there are notifications on the screen on top of the doors so you can still know what station the train will be stopping at if you missed the announcement. But on some trains, especially trains that are from smaller companies, there will not be any announcement and the notifications are in Japanese. In these cases, you might want to be always checking your phone for the right stop. You can also count the number of stops to know at what station you should get off. If you missed your stop, you can always get off that the next station. Then you can take a different train back to the intended station, you do not have to leave the station or cross the gate, since crossing the gate will cost you the fee. You can simply go to the opposite platform, which usually goes the opposite direction back to the station that you missed. Then you can get off at the right station and it will not cost you more than what you wanted. There are a lot of crowded trains, especially early morning trains when people need to go to work or school. These trains are usually super crowded and packed, it is not advisable to take these trains if you have a lot of luggage with you. There will be no personal space on these trains, people are being shoved or pushed simply because other people also need to get to work. If you are taking one of these trains and you have a backpack, it is better for you to put it between your legs, that would create more room for other people. You can also put it on the luggage areas located on top of the seats. 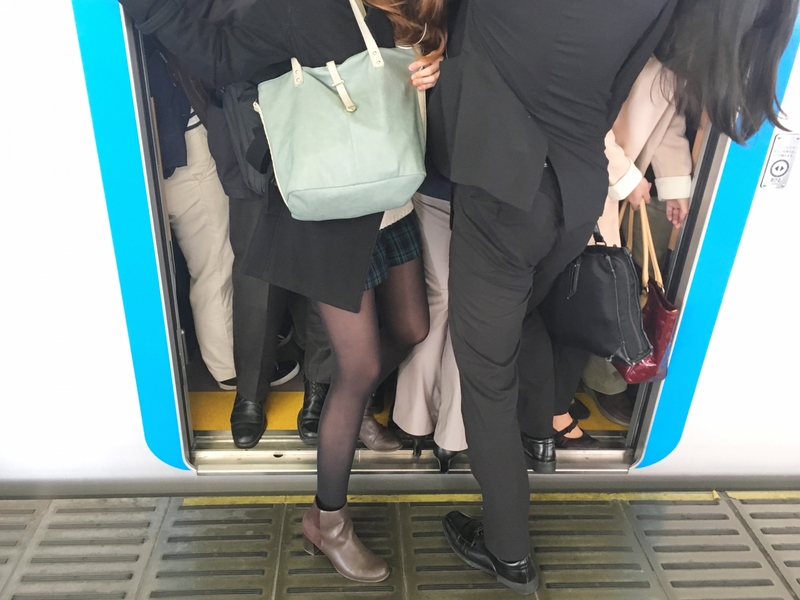 Because of how crowded the train is, if you are standing next to the door when the train stops, you should hop out to make room for people who need to get off at that station. Once again, because of the super packed train, some people in the middle cannot get off quickly, they need to push other people a bit to get off before the doors close. 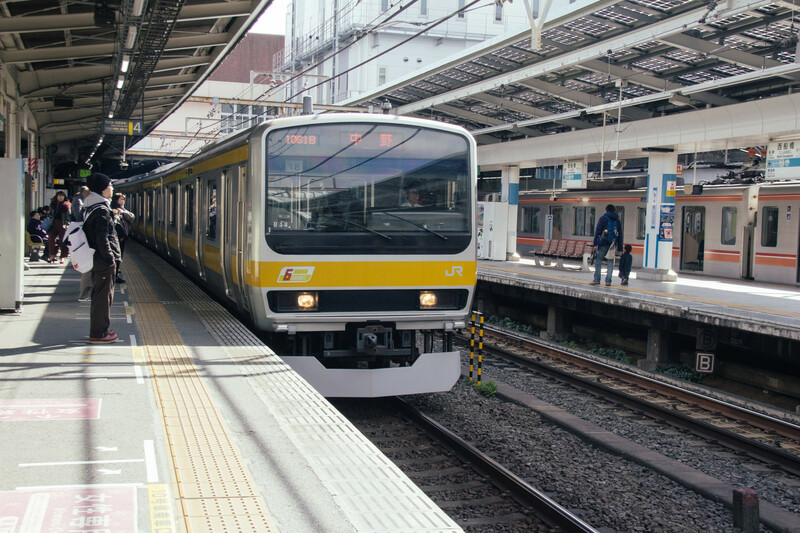 Since Japan trains are very punctual, there is little time to get off at each station, so if sometimes you got pushed a little bit, it is not that they are rude but rather they just need to go work. 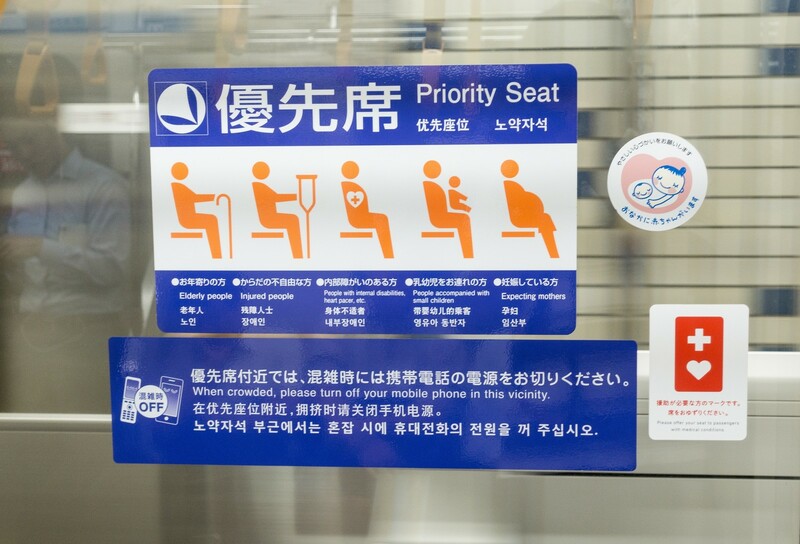 There around 12 special seats for elderly, children, women, and pregnant women in each carriage located on each side at the top and bottom of each carriage. But often time, those seats are just not enough, Japan is a country with an aging problem, there are a lot of elderly. So if you spot any person who needs a seat, don’t hesitate to give your seat to them even though they will never ask. Additionally, there are women-only carriages during the morning, so please be careful when you get on the train. Also if you are just getting on a 10 or 20-minute trip, you should also consider giving your seats to other people who may be going on an hour-long trip. It is obvious but once you reach the intended station, you need to get off. Or maybe you need to change train so you need to step off of the current train. As mentioned above, you might need to give people a little push if the train is very packed. As I have stated above, you need to tap your card or insert your ticket or use your pass when you get off the train and get out of the station. These 3 items are very important when using the train system so you should not lose them. Once again, you can just tap the card then the doors will open for you to leave. 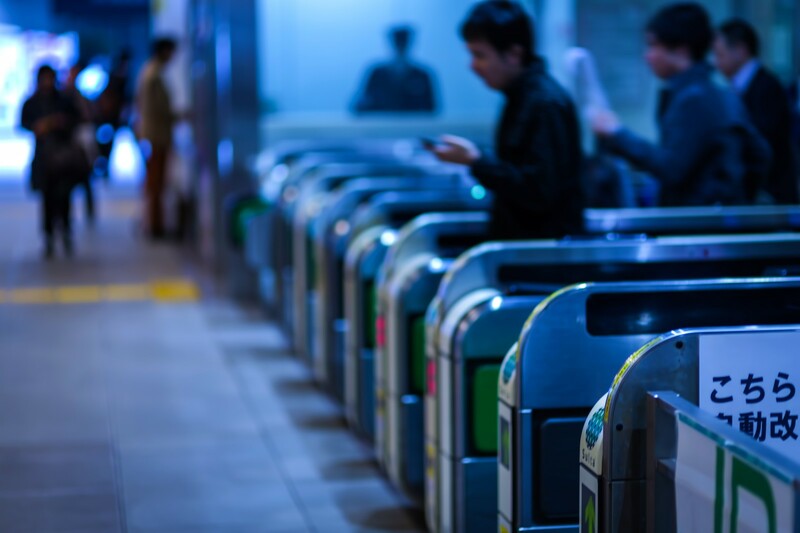 But for tickets and passes, if it is your final destination, your tickets will be automatically collected or you will have to submit your travel pass to the attendant at the station. Unfortunately, if you lost your cards, tickets or passes, you will have to talk to the attendant, and then you will have to pay full price for the ticket, remember to take the receipt. And if you can find the ticket later, you can always bring it back with the receipt and get a refund, within in one year. When you reach your station, please don’t forget to take your belongings with you. Sometimes, when you put it on the top of the seats and the train is crowded, you might forget to bring it. So one simple and quick tip is to check for your belongings once you hear the announcement of the next stop. If you forgot your belongings, you are very likely to get them back, but it is still better to not ignore anything in the first place. You can find a lot of ‘Lost and Found’ centers, お忘れ物 owasuremono, in big stations. 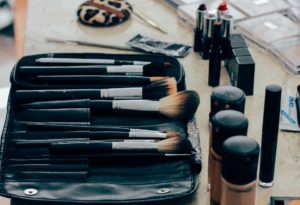 You will need to contact the operators or the attendant, then you will have several days to pick up your item before they transfer your times to the police. Each station has at least 2 exits, some stations have up to 200 exits in total. So it is really easy to get lost in the station. I usually use Google Maps as it will tell me which exit I should take. You need to check which exit you need to take then follow the signs to get out through the right exit. On your way to the exit, you will notice many stairs, escalators, and elevators. You will need to line up to use any of them, especially the elevator. Please stick to the designated lane when you go up or down the stairs, there will be arrows, usually on the left, indicating which side you should go. When you use the escalator, please stand on the left if you are not in a hurry or do not want to get to some other places fast. Because the area on the right of the escalator is for those who are in a hurry, so you will see people walking up the escalator. During rush hours or when it is crowded, don’t be surprised that people will cross the lane on the stairs to go faster. With the guide, I hope you will have a wonderful experience in Japan and especially when using the train service. 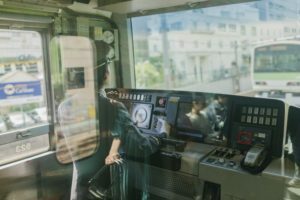 There are simple rules and tips that if you follow, would guarantee that you will have a pleasant and comfortable trip in Japan using the trains. 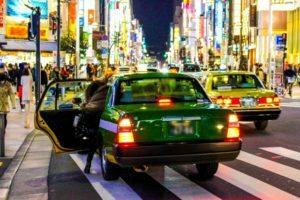 There are a lot of other wonderful things that you can experience in Japan, and if you ever need some tips or have some questions, don’t hesitate to ask “Guidable” for more help and support!